Im a Fan of Shuckz Oyster and Champagne Bar... Are you? Fill in the below form and you can recommend ‘Shuckz Oyster and Champagne Bar’ to a friend or family member via a text message. 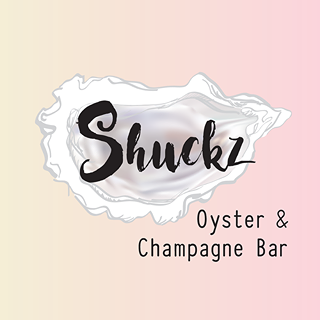 Show your support with a quick share of ‘Shuckz Oyster and Champagne Bar’. The freshest oysters I have ever tasted! A fantastic experience, can\’t wait to go back for more! The freshest and best oysters in North Queensland, must have, beautiful! Love fresh tasty oysters great service and a perfect location in Airlie beach. Best oysters in the Whitsundays with friendly staff! Can’t wait to go again! Amazing idea, great food & great atmosphere! Beautiful produce, excellent variety of drinks, amazing service. Shuckz is such a breath of fresh air . So refreshing so unique so classy . What a pleasure going to this amazing Oyster Champagne bar . We are very lucky to have Shuckz here in Airlie Beach. A beautiful bar in a beautiful location with the most comprehensive selection of the freshest oysters in town. The service is second to none with speciality knowledge to ensure the best oyster is matched to your drink. The bloody Mary oyster shooters are a must! The oysters are 10 out of 10. Can’t beat it. The best oysters I have ever eaten!!!!!! Great service, great atmosphere and did I mention the BEST OYSTERS EVER! !